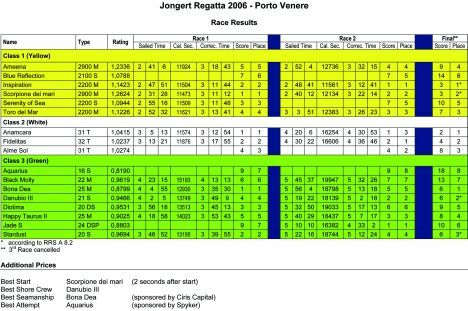 The Jongert Regatta an annual sporting kermes dedicated to the regal looking yachts built by the Dutch shipyard was held in Italian waters this year. The location chosen was the awe inspiring Porto Venere in the "Cinque Terre" area off La Spezia. Nineteen crews from all over Europe competed against one another off the islands of Tino and Palmaria in fleet regattas over two days. There should have been a third regatta, on the Sunday, but it was unfortunately cancelled due to lack of wind. 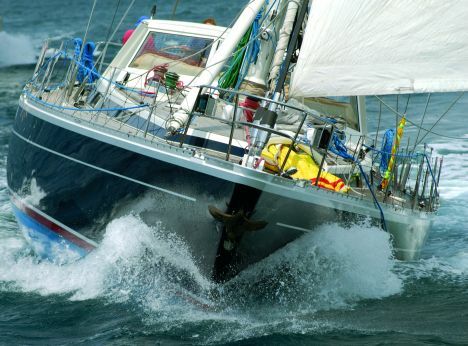 Although De Coubertin's spirit prevailed the regattas soon became tough and exciting, because, though it may certainly be important to participate, to win is a different kettle of fish. We followed the event aboard the "Scorpione dei Mari" a 95' carbon rigged Jongert racer belonging to a German owner designed by Tony Castro and sister boat to "Amena" another sloop present at the gathering but also a star of the 2005 Monaco Yacht Show. "Scorpione dei Mari" accredited with the highest rating therefore, theoretically, the fastest of the boats racing, came first overall on the first day but was beaten on the second day by "Inspiration," also an excellent racer, owned by Herbert Dahm, yet another German owner and a real international institution who over the past twenty years has kept Jongert's name flying high over maxi yachts' regatta courses. 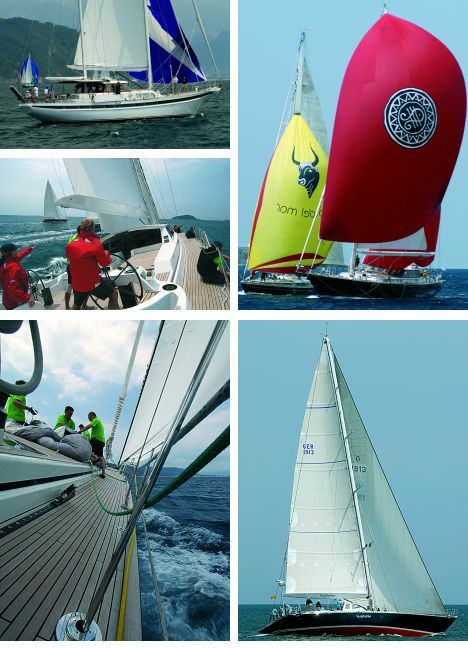 "Scorpione dei Mari" held second while "Toro del Mar," a 22 metre Jongert, with a Spanish crew and owner, placed third in the final ranking thanks to the sum of its good placements in the various heats.